***2004/2005's do not have tryouts or planned tourney/practice schedule due to other conflicts. If interested in playing OR Coaching/Leading a team please contact Dan French at (603) 381-5428 or . Players should also register online (no fee to add your name to the list). If you are unable to make the tryout on March 10, that does not exclude a player from consideration. Go ahead and register here online and then contact the Team Head Coach or Dan French and we will make other arrangements. 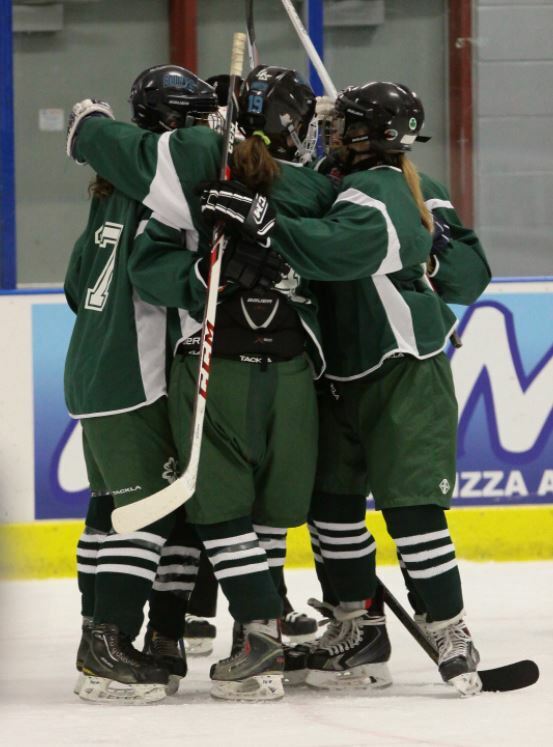 The Vermont Shamrocks have a long history of operating great spring hockey program for girls for 10U age teams and older. It is designed to be an exciting and unique experience that allows girls from around Vermont and neighboring states to come together to make new friends and play high-level hockey. Skill development is stressed, but the elements of team building and team work is even more important. The VT Shamrocks are a totally volunteer program, and we set our fees to only reflect the cost of ice and tourneys plus overhead like insurance. All players pay the full price, including goalies and coaches' kids, and we rely on all families to help us by paying promptly and helping us keep fees as low as possible. The Shamrocks encourage girls to participate in spring sports and our schedule is designed accordingly to make every effort to minimize conflicts, which is why we generally only practice Sunday afternoon-early evenings and only attend a 2-3 weekend tournaments. Once teams are named immediately after tryouts, we hope that all named players can attend all the team's scheduled events, but if you can't make a weekend Tournament that does not remove you from the roster. Each team will have a number of Alternates who come to all practices (and pay a reduced fee) and will be called by the coach to replace any starters who cannot attend a tournament or game, and will then pay a pro-rated fee. Spring Team seasons start around late-March and end by Mid-June. Team fees range from around $250+/- for teams that go to two tournaments and $280-$340+/- for teams attending three tournaments. This includes all practices and tourney fees and uniforms (socks and jerseys are property of the VT Shamrocks and are to be returned immediately following the final game for each player). 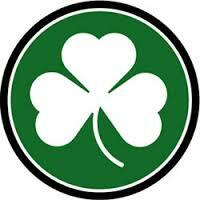 We plan to have two teams at each age level, generally by birthyear, with the exception at the 10U Level, thus allowing the greatest participation possible for players and families who are looking for something like the Shamrock experience. We may again add a third mixed-age team at the 12U level depending on interest, interested leadership and ability level. New SPRING Skills Programs Partnership Announced! The Shamrocks have partnered with Meghan Sweezy and Girls 4 Hockey (G4H) for 2019. Her program runs eight weekly skills sessions at Cairns (starting April 11 mostly on Tuesday or Thursday evenings in the 5/6pm range) that will be open to ALL Spring teams players as part of the team fee. Players can attend as many of the eight skates as interested and this is totally independant from team practices over the spring. This is a great opportunity to work on Skill Development work with different coaches and former NCAA players. For more information on a specific age level, click on the tabs to the left. Information and Team Contacts are provided on each team page here for this year. Click Here for current list of Coaches and contact info. Please select "SPRING 2019" Season at the top. Thanks for your interest in the Shamrocks and hope to see you on the ice.